David Ray - I am a broadly trained evolutionary biologist with research interests in genome evolution with an emphasis on the ways transposable elements (TEs) impact genome structure and function structure. We also use modern genomic methods to investigate phylogenetics and population genetics in a variety of species of conservation concern. People in my lab work with organisms that include crocodiles, bats, butterflies, and rodents, all with these major focus areas in mind. We use bioinformatics techniques to analyze raw next generation sequencing data from both DNA and RNA as well as assembled genomes. I also teach courses on these topics, including Genomes and Genome Evolution, Genomes and Society, Transposable Element Biology, and Genetics. I earned my BS and Master’s degrees from the University of South Carolina and taught high school Biology, Chemistry and Physics before returning to graduate school and earning my PhD from Texas Tech University in 2002. After that, I held postdoctoral and assistant professor positions at Louisiana State University, West Virginia University and Mississippi State University before returning to TTU as an associate professor. My CV is available here. Carlos Garcia (MS student) - My research in The Ray Laboratory will focus on working with a rare and potentially endangered species, the Texas kangaroo rat (Dipodomys elator). I am taking whisker samples as a noninvasive method to collect DNA and get a better understanding of the genetic structure of the species. This will also help determine the species’ distribution and evaluate whether the genetic structure is characterized by recognizable sub-populations. I am also working with a pair of vesprtilionid bats in in Louisiana, and I am trying to genetically differentiate the Southeastern myotis bat (Myotis austroriparius) and the Northern Long-Eared bat (Myotis septentrionalis) in order to assess the abundance and distribution of Myotis septrentrionalis in Louisiana. 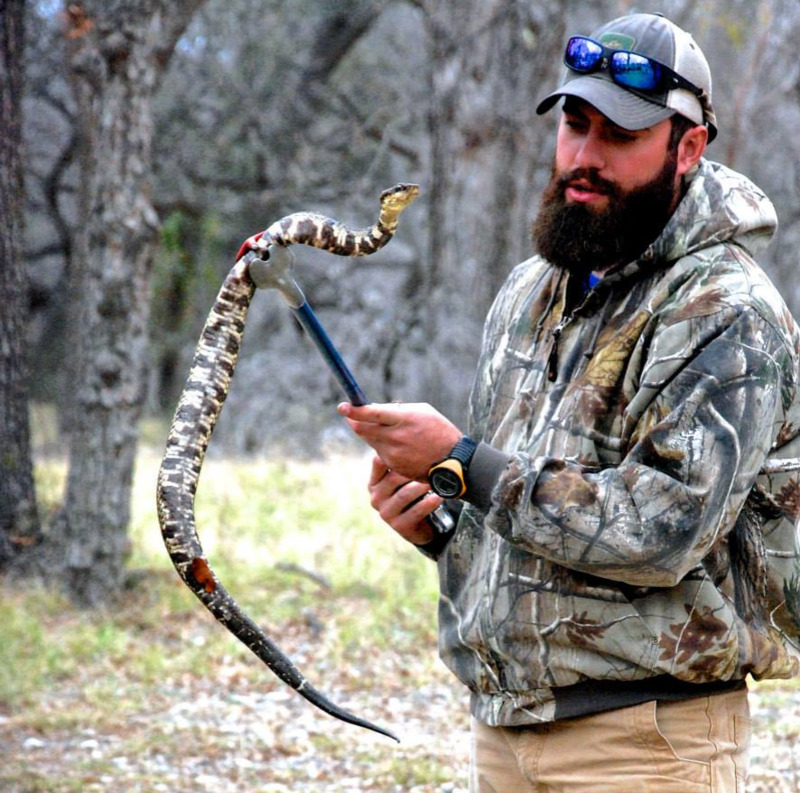 Austin Osmanski (PhD student) - Running around the country as a kid in west Texas inspired me to pursue a life studying the natural world of biology. I earned my Undergraduate (2008-2012) and Masters (2012-2014) Degrees from Angelo State University where I conducted ecological field research on native herpetofauna in the Chihuahuan Desert. As a new doctoral student at Texas Tech, my biological interests have diversified with the guidance of my co-advisors Drs. David Ray and Lou Densmore. I recently ventured into the intriguing world of genomics and bioinformatics where I currently work on comparative structural variations of crocodilian genomes to deduce evolutionary relationships. Kevin Sullivan (PhD candidate) - My interest in the field of biology concerns genomic evolution due to transposable elements, both in how they impact genomes as well as their use as phylogenetic markers. My current project is aimed at identifying SINE subfamilies in Peromyscus maniculatus, which will be used as markers in uncovering the phylogenetic relationships in the Peromyscus genus. Jennifer Korstian (PhD candidate) - My interest in research was sparked while I worked on two undergraduate research projects through the Rice University & Houston Zoo Consortium for Conservation Biology. After earning my bachelor’s degree from Rice, I continued to a master’s degree at Texas Christian University where I studied the population genetics of eastern red bats migrating through a North Texas wind farm. For my doctoral work, I am venturing into the world of genomics. In particular, my projects center around phylogenetic reconstruction and investigations of the impact of deep coalescence and introgression on species trees. Currently, I am working on three projects: 1) using UltraConserved Elements (UCEs) to construct a comprehensive phylogeny of New World Myotis bats which allow us to investigate the evolutionary history and biogeography of these species and potentially even re-evaluate some of their species boundaries. 2) using Short Interspersed Elements (SINEs) to independently infer the evolutionary history of genus Myotis, particularly, the impact of incomplete lineage sorting (ILS) on these species. 3) using SINEs to infer the evolutionary history of genus Heliconius butterflies, particularly, the impact of incomplete lineage sorting (ILS) and introgression within the genus. Michaela Halsey (PhD student) - Originally from the mountains of Virginia, I attended Frostburg State University in Maryland from 2007 to 2013. Equipped with degrees in Wildlife (B.S., 2011) and Applied Ecology and Conservation Biology (M.S., 2013), my current goal is to integrate genomics tools and data with traditional conservation biology. I am investigating the intraspecific genetic variation in an enigmatic and Texas endemic kangaroo rat, Dipodomys elator, to better understand its population status and health. I also aim to add phylogenetic clarification to the genus using short interspersed elements (SINEs). On a more abstract level, I am curious how environment, historic and present-day, can shape and otherwise influence genomic landscapes, especially with respect to transposable elements. I am co-advised by Dr. Richard Stevens of the Department of Natural Resources Management here at Texas Tech University. Nicole Paulat (MS student) - My research interests are in the impact of transposable elements on gene and genome evolution, and more broadly, their impact on gene expression. Currently, I am working on several projects, with the focus on identifying polymorphic TE insertions and excisions in Myotis bats, and using them to examine the effect of transposition events on the mutation rate of nearby DNA sequences. I am also annotating transposable elements in multiple arachnid species. My primary interests are in vesper bat, reptilian and arachnid genomics – gotta love me some creepy-crawlies. Jenna Grimshaw (PhD student) - Originally trained as a metacommunity ecologist, I approach the world of genomics from a unique perspective to understand what processes and mechanisms are the driving forces behind genomic structure. My overall research objective is to investigate the macroecology of the genome. Using classic ecological models (i.e. species abundance, range size, and body size distributions), I examine the distribution of transposable elements (TEs) across a diverse set of taxa ranging from butterflies to bats. Moreover, I delve into potential co-occurrence interactions among TEs such as segregation due to competition or narrow niche breadths with little overlap and aggregation stemming from mutualism or overlapping environmental requirements. I am also working on a project to determine species distributions and genetic analyses from three species of bats in Louisiana: Myotis austroriparius, Eptesicus fuscus, and the critically-imperiled M. septentrionalis.